Pat Sansone | Will You Miss Me When I'm Gone? Alongside a two-lane back road in the Berkshires region of Western Massachusetts sits a solid, simple frame home. Sited on what appears to be at least a couple of acres atop a hill, its nearest neighbor is farther than you can throw a stone, but not so far as to be out of sight. The house is far enough from the main highway to provide a peaceful retreat, but with easy access to civilization — whether you consider that North Adams, Pittsfield, Boston or beyond. The silence — at least outdoors, anyway — is broken only by the occasional animal noise or the air-horn warning and rumble of one of the freight trains that pass through on a regular basis. Inside, it’s a very different story. That’s where Sarah Lee Guthrie and Johnny Irion are raising their kids — “counting the cousins, on any given day there are four to six. But normally, two: Olivia’s 11, Sophia’s 6,” Johnny told Will You Miss Me When I’m Gone? in an exclusive interview. And it’s home base for their business. Downstairs, in a studio-basement-rehearsal space, the married musical duo practice and record their music. Things are really happening for Sarah Lee and Johnny. They seem like a duo on the verge of overnight success — albeit after one very long and ofttimes sleepless night. But we’ll get to that in a minute. First, let’s clear up something: While Sarah Lee and Johnny aren’t household names, there’s something about them that rings the bell. Will You Miss Me When I’m Gone? got off to a late start for the 2011 Solid Sound festival in North Adams, Mass. So we missed Purling Hiss, the first band of the weekend, on Friday afternoon, June 24. Sharon and Neil Finn's Pajama Club. 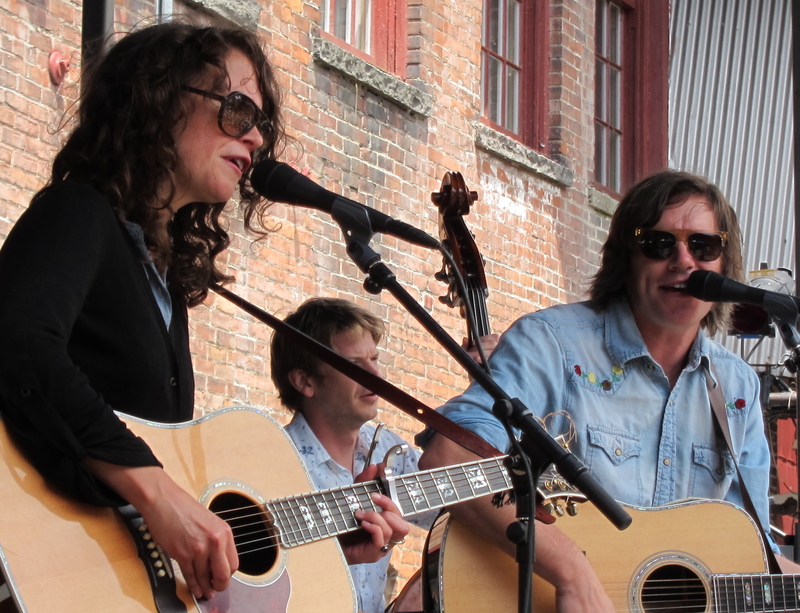 But we made it to MASS MoCA in the Berkshires in plenty of time to catch the two big shows of the day, Neil and Sharon Finn‘s Pajama Club and the headlining set by Wilco, the band that made the festival happen. The Pajama Club plays fun, no-worries pop. We didn’t know much about the band before arriving in North Adams, but discovered to our joy that the New Zealand band’s drummer is Alana Skyring, who until the beginning of this year was a member of one of our fave bands The Grates from Australia. Click through to the jump for more photos and words about Night 1 of Solid Sound. And check back soon for photo and words about the rest of the music festival. Will you be in North Adams for Wilco’s Solid Sound Festival? Are you joining Will You Miss Me When I’m Gone? 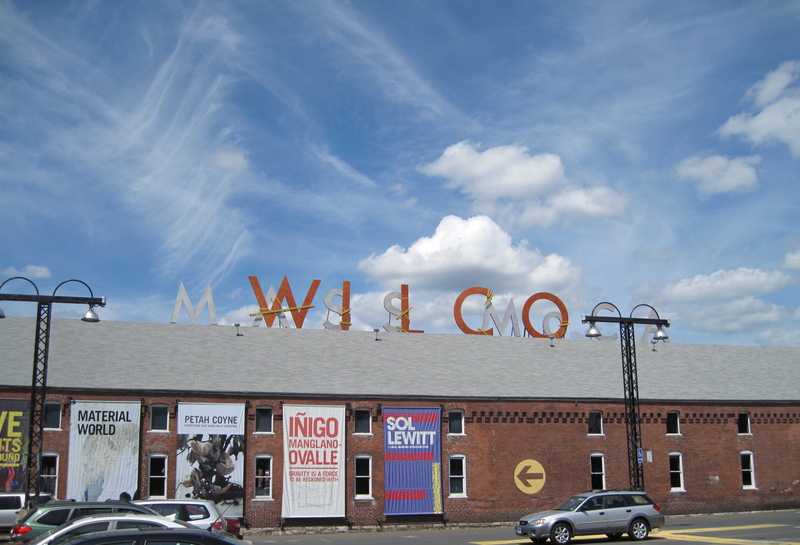 in North Adams, Mass., today for the beginning of the second annual edition of Wilco’s Solid Sound Festival? If you haven’t decided yet, it’s NOT TOO LATE. So all of you last-minute types should definitely keep reading. 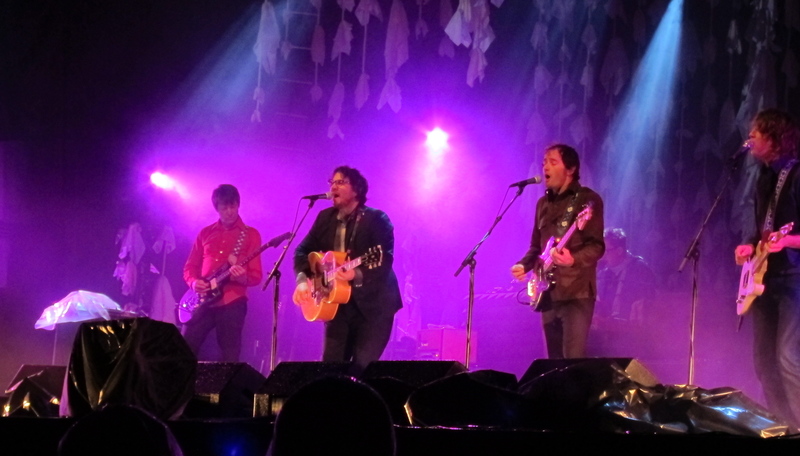 Wilco at the 2010 Solid Sound Festival. As it did last year, it’s taking over the campus of MASS MoCA, the fantastic contemporary art museum that has made this struggling former factory town a destination for lovers of art and music. And the best thing for you last-minute types is that passes are still available for $124.50. Unlike last year, single-day tickets are also available at $65 for today or Sunday and $78 for Saturday. Click through to the jump for more photos from last year’s festival and more info about this weekend’s activities. We don’t like to brag (well, okay, sometimes we do), but Will You Miss Me When I’m Gone? 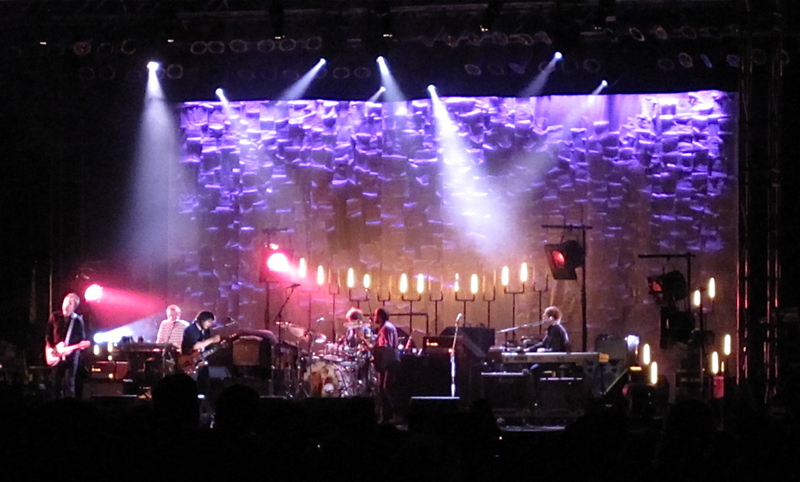 predicted that Wilco’s Solid Sound Festival would become an annual event — even before this year’s inaugural gathering wrapped up. Greetings and Happy Holidays. We’ve got a last bit of news before heading home for the break. The big story here is that Solid Sound 2011 is officially ON and happening the weekend of June 24-26, once again at MASS MoCA in North Adams, MA. if you were there last year, we know you’ll be back. If not, well, this year you should know better. Ticket information and more will be announced on January 18. So keep an eye and ear out. Safe travels and sweet holidays to you all. Thanks again for another great year in Wilcoworld. We’ll see you in 2011 with what will undoubtedly be a whole bunch of news regarding Wilco tours, records, the festival and so on. Cheers. This years three-day event was held in mid-August. It gave thousands of fans of all ages the run of the Massachusetts Museum of Contemporary Art (MASS MoCA) in the Berkshires town of North Adams, Mass. 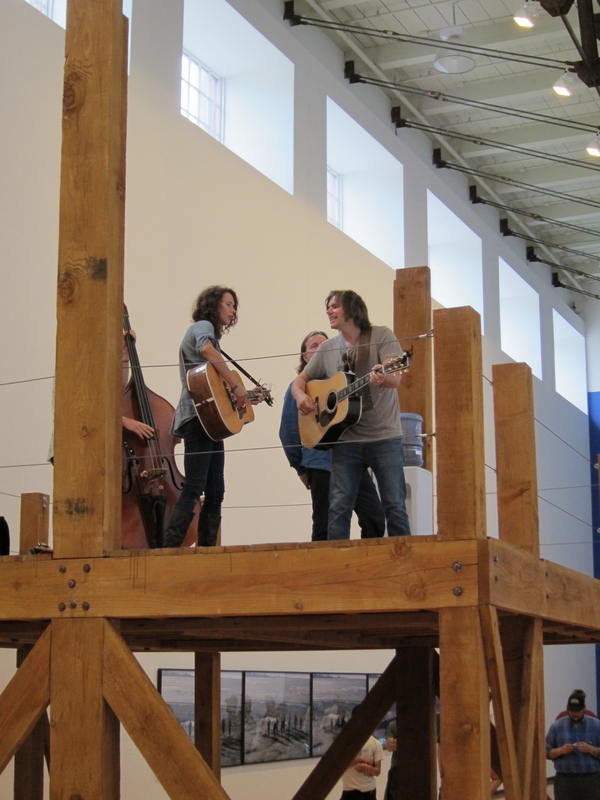 Participants got to hear lots of music from Wilco, the side projects of band members like Jeff Tweedy, Nels Cline, Pat Sansone, their friends, and got to sample comedians and films along with the spectacular art on the gritty former factory campus. It was well run, well curated and surprisingly chill. The music was great, the scheduling tight without being overwhelming, the facilities were superb and the food and drink never seemed to run out. Everything worked together to make it one of the best and most memorable festivals around. 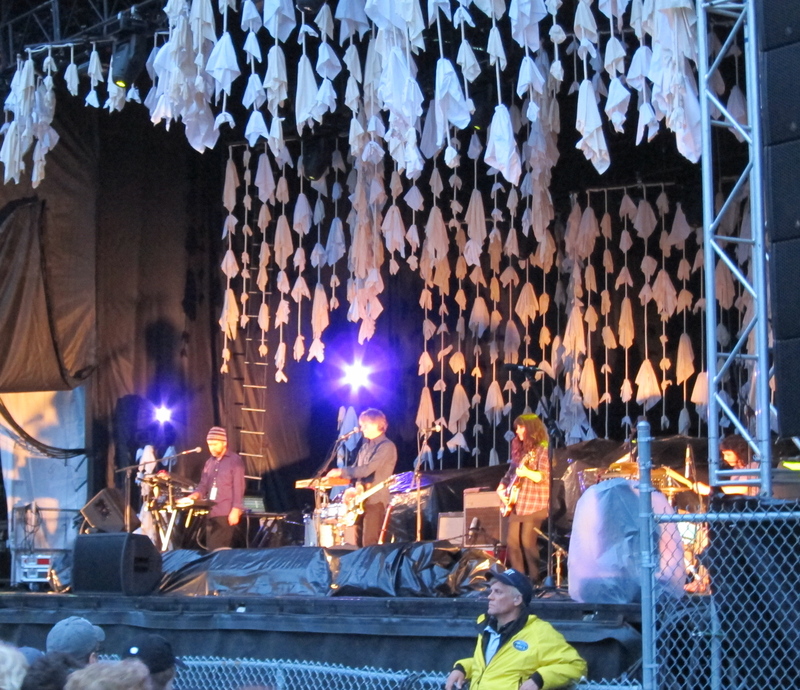 Wilco perfoms on the main stage in Joe's Field at MASS MoCA. Museum management was thrilled to have as many as 5,000 well-behaved patrons on site at once, and obviously saw the festival as something worth bringing back. Museum Director Joe Thompson was singing the praises of the event all weekend, and made no secret of the fact that he supported the idea of doing it again in 2011. And Cline brimmed with excitement about the festival when we spoke with him at Joe’s Pub in New York City, where he and fiancee Yuka Honda were checking out Sean Lennon and Charlotte Kemp Muhl‘s new project, The Ghost of a Saber Tooth Tiger. Next year’s festival is earlier in the summer — June instead of August. So save the date and stay tuned for an update in a month. 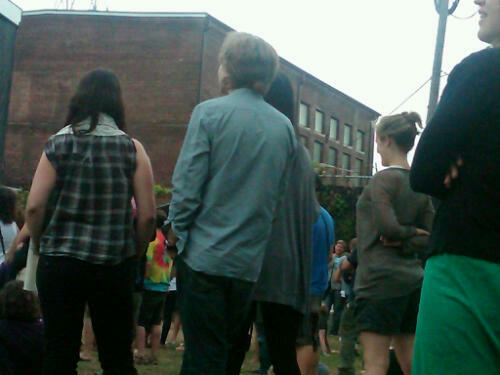 Pat Sansone of Wilco couldn’t stay away from Joe’s Field at MASS Moca on Sunday afternoon during boss Jeff Tweedy‘s solo set, the closing show of the fantastic Solid Sound Festival.